Some people find cleaning their coffee makers a bit daunting. I can understand the unwillingness of homeowners to do the cleaning of their coffee maker because it is a bit complicated-or so I use to think. 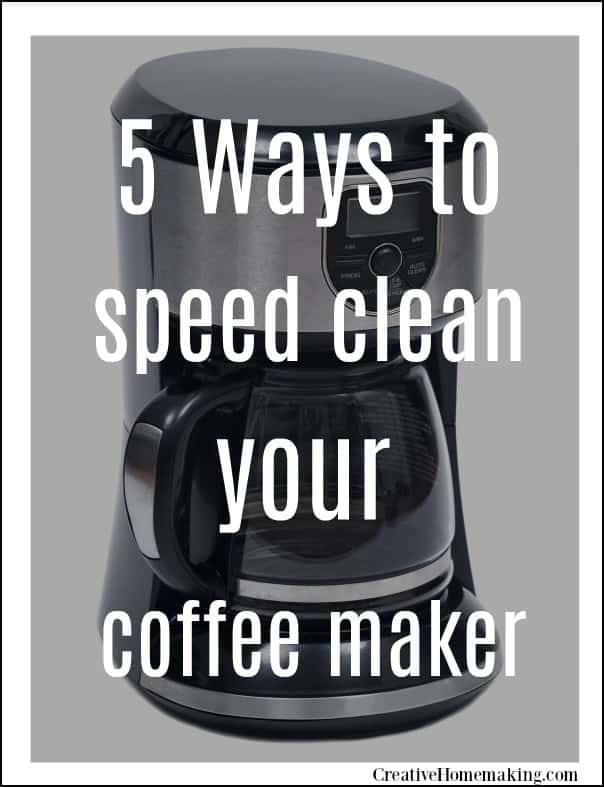 Our favorite tip: Others think that the easiest method to do this is just to buy store-bought coffee maker cleaners and just pop the parts in the dishwasher. While it is a convenient method, it does not clean thoroughly. (This coffee and espresso machine descaling powder does help remove hard water build up from your coffee maker. They recommend you use this once a month). The combination of ice and salt gets rid of the mineral deposits and grease on your carafe. Cleaning a carafe may become a bit difficult especially if the mouth is a bit narrow. You should try crushing ice, put it in the carafe and add table salt to it. Give it a mix until you can really see how the ice and salt combination cleans the inside. Vinegar works so well in dissolving and removing hard mineral deposits and molds. What you should do is pour white vinegar in your coffee maker’s water reservoir and add water to it. Use this and run a brewing cycle. As your coffee maker brews, the vinegar passes through the inside of your coffee machine and this effectively gets rid of the impurities inside. After doing so, run a water cycle to wash off the vinegar smell. Do it twice to further ensure that no lingering vinegar smell is left. 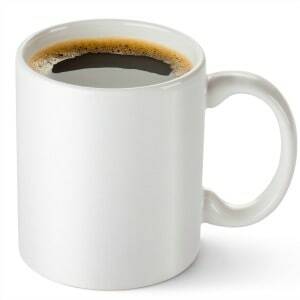 Dilute baking soda in water and add this mixture in the coffee machine’s water reservoir. Now, start a brewing cycle. It should start brewing the baking soda and cleansing the inside of your coffee maker. Baking soda is a good choice because it has the ability to get rid of stains and grease, not to mention the rancid smell of coffee beans. Lemon juice can be used as a substitute to vinegar. It has the same powerful efficacy of vinegar, only less of the sour smell. Use it with the same procedures as the vinegar. It leaves a lemony scent behind that may also keep those pesky ants away. This is the quickest way to temporarily clean your coffee maker if you have to go immediately. Just detach the parts and clean it using your dishwashing liquid. Article by Zach Smith. Zach has been writing online for 4 years. He contributes regularly to several coffee makers websites. Reprinted with permission. Like these tips? Find out some easy speed cleaning tricks for a clean home in a hurry. You might also like these quick tips for cleaning tile floors. 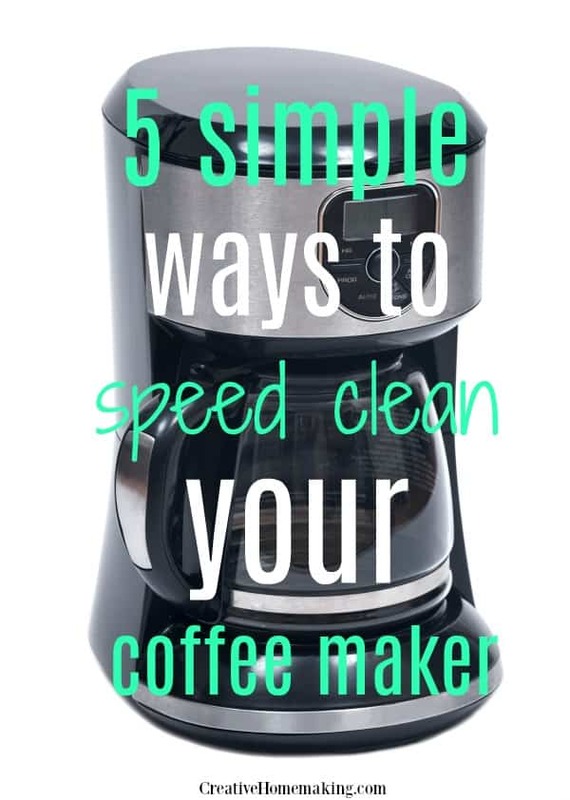 1 Comment on "5 Simple Ways to Speed Clean Your Coffee Maker"
I’m still learning from you, but I’m making my way to the top as well. I certainly love reading everything that is written on your blog.Keep the tips coming. I loved it!